As I write, its around 22 degrees C outside and summer has truly arrived, and summer in Southland means Willow Grubs. These tiny terrestrials pupate within the small galls, or blisters found on willow leaves, and the first really warm days of December usually signals their emergence. As willows line the majority of our lowland streams, many of these grubs find themselves upon the water, struggling within the meniscus. This phenomenon often continues through to late summer on some waters, and provides technical dry fly action to rival the choosiest of Mataura spinner feeders. Trout love willow grubs; they will position themselves within a feed lane downstream of a willow line and sip voraciously as large numbers of these morsals drift past. This is exciting - trout focus in on a tiny prey but a few inches in front of them with such clarity, and everything else in the background becomes a blur, much like the effects of a telephoto lense. It is possible for the angler to regularly approach to within a rod length of a grubbing fish, and cover the fish time and time again from extremely close quarters. Now every Southland angler has his / her own special pattern. Some tied with foam, some with CDC, come with the sparsest of hackles. 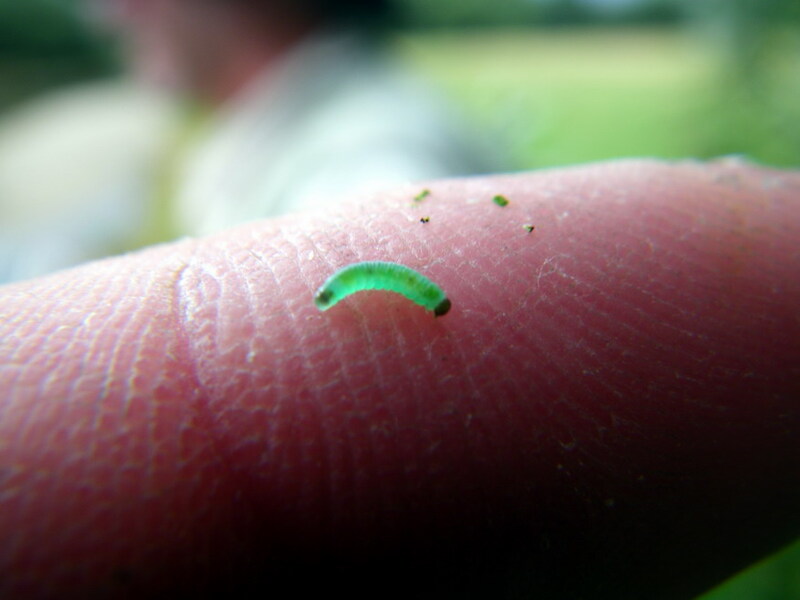 The trick is in imitating these tiny, yellowish grubs which often range in size through to the high 20's in hook size. Your fly must remain sparse. 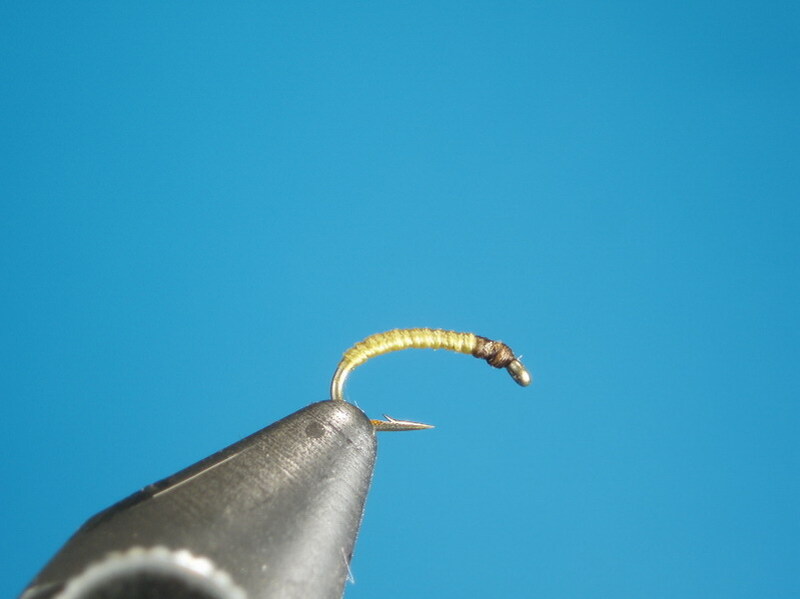 Floating such a tiny pattern is tough, for the adddition of hackle, or other traditional floating materials will put off the silouhette, and simply see refusals, as the trout lock on to the sparse prey image of the tiny natural. My pattern is simple - yellow tying thread for the body, with a brown head. It is sparse, imitative, and quick to tie, important as many of your casts will be directed in beneath the willows. Losing flies is a given. Long, powerful casts and heavy tippets are not the name of the game, so leave your stiff tipped casting cannon at home - this is smooth loading 4 and 5wt country baby! A shorter rod will aid in accuracy as well as become more maneuverable beneath the trees and a softer tip will vastly improve hookups and aid in protecting the lighter tippets often required when chasing grubbers. My SCOTT 8'8'' 5wt G2 is the perfect willowgrubbing tool I have found, performing often with only leader and a couple of feet of flyline outside of the tip, and absorbing the heavy headshakes of a big brown trying for the willows. A soft, clear flurocarbon is essential for remaining just subsurface and moving around the many microcurrents: never is defeating drag so important than when chasing willowgrubbers in the often smooth water. Airflo Extreme flurocarbon is the clearest and most supply fluro I have found, and I'm looking forward to throwing it towards a grubbing fish over the next couple of weeks. Many find willow grubbing fish rather frustrating, as they continuously sip at the surface and seemingly refuse all offerings. A multitude of patterns are tried, without success, and the anglers frustrations grow. I believe the key trigger for grubbing fish is not in the pattern itself, but in imitating the movement of the natural. These miniscule terrestrials omit the smallest of movements, only just perceptible by the small wavelets their wriggling form puts out in the meniscus. If your imitation doesnt act like the natural,and ride low in the surface, it will be ignored. Q: So how does one impart such tiny movement in a fly so small? A: Presentation, and pinpoint casting accuracy! Twitching your fly wont often work; the movement will be too large, too noticeable no matter how subtle your atttempt. As mentioned, the movement of the natural is barely perceptible to the human eye, yet so cruicial to the trouts decision as to wether to take. 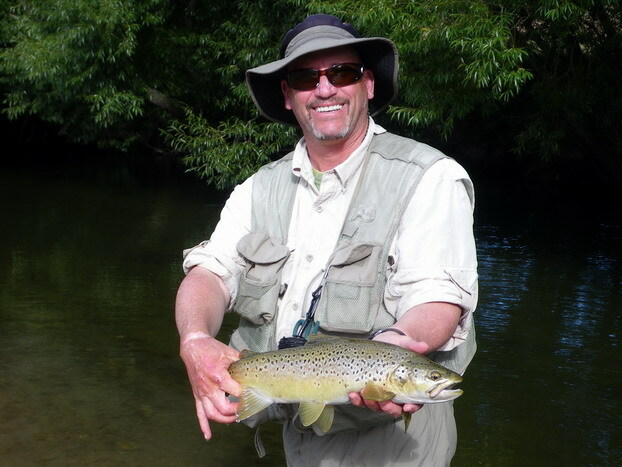 Aim to land your fly time and time again but a foot or two upstream of the trout. The fish will notice the tiny splashdown on the edge of its vision, and hopefully lock onto your pattern right there and then. 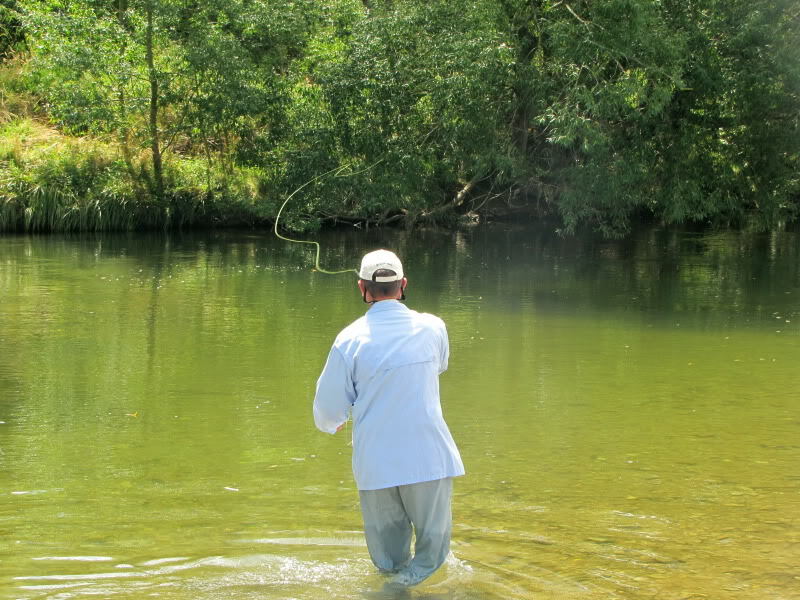 If you are landing your fly a metre or so upstream of your fish, he wont see it land, and consequentially, wont see any lifelike action in your fly as it drifts down to him. Long, light leaders are a must to ensure a controlled, delicate touch down. Such leaders take time to come to grips with, so practise, practise, practise. Also practise your reach casts, and other aerial mends. You want a drag free drift, and to keep the line away from the trout. I find this more efficient to perform in the air whilst the loop is travelling towards its target, as opposed to after the line has dropped to the water. Water disturbance is non existent with an aerial mend, and the line lands 'ready to fish'. The ability to throw a pendulum cast, or upside down loop will also assist greatly in popping your fly well in beneath low hanging branches, as will learning to cast off different planes. WG success. A low side cast pulled this fish from well beneath the branches to the left. Sometimes you will strike it when the trout are not yet locked on for the day, and are still open to the occasional mayfly, and it all seems too easy. However I personally look forward to those more technical days where trout are hoovering grubs and grubs alone, and where nothing short of my 'A game' will do. Presentation after presentation may be ignored, only to finally tighten up on a solid fish after 40 something casts. Now THAT is a satisfying reward for hard work!